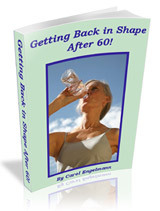 Why Water Is Important for Staying Healthy After 60! and How to Stay Hydrated! 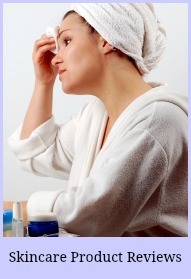 Want to stay healthy and boost your anti aging effort? Then you need to understand why water is important for you! It’s generally accepted that our sedentary way of life today means we need to exercise more to stay healthy. We know too that we should avoid processed foods and go for fresh veggies and fruit, good proteins and healthy fats. But little attention is paid to the health benefits of water. Apart from Tea and coffee, we have a huge choice of cordials, fizzy drinks, sports drinks and low calorie drinks available to us. Water is no longer on the menu and some strange things are happening as a result. We no longer recognize thirst! Could you be mis-interpreting these symptoms of dehydration? We think we are hungry and grab a snack. We feel tired and headachy and may need a pain killer. Tired, itchy, dry eyes are annoying. We suffer with swollen, legs and hands. We feel just plain, old moody . This is why water is important. These and many unwanted symptoms may point to dehydration but unlike our continental neighbours we are slow to catch on that we might be thirsty. it needs to stay hydrated and function correctly. The body uses water to keep metabolism at a steady rate, aid digestion and flush out toxins. Eating veggies and fruit that have a high water content helps too and keeps you fuller, longer. Why not try out some healthy juicing recipes? Drinking water regularly throughout the day can aid concentration, improving your memory and keep that fuzzy, tired feeling at bay. At night you may find you sleep better, wake more refreshed and have more energy. and Why Water is Important! Many serious illnesses can be prevented and conditions improved by drinking enough water. The list is long but did you know that water can help lower blood pressure and cholesterol levels. It can reduce the risk of heart attack and stroke. Water retention in legs and hands can often be alleviated by drinking more water too. Proper hydration can prevent and/or treat arthritis and back problems. Dehydration could be responsible for loss of calcium leading to osteoporosis. Cancer and neurological disorders have also been linked to dehydration. Cleansing, refreshing and revitalising the body and keeping our immune system up and running, yet another reason why water is important. If you want to stay slim, sharp and free from age related diseases what else would you drink? Bad Mood Swings, Where Do They Come From? 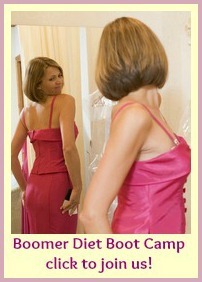 Find All Page Titles for Mature Women on the Site Map.